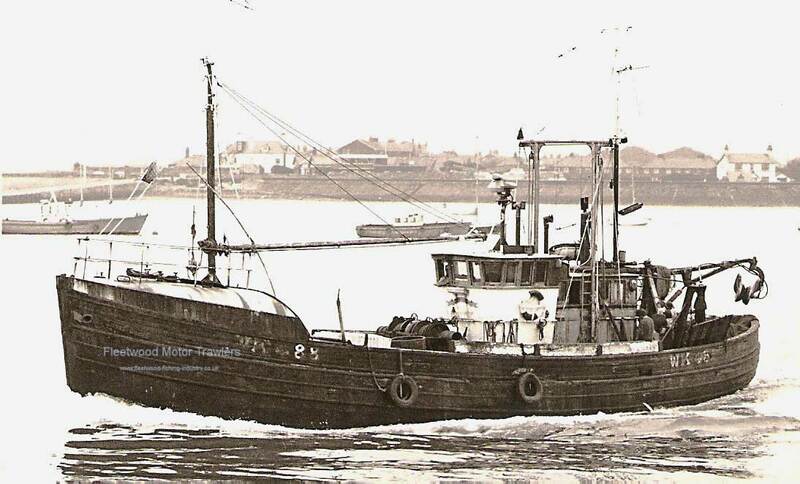 1968: Completed by John Lewis & Sons Ltd, Aberdeen, for Starbank Fishing Ltd, Leith. Registered at Aberdeen as REWARD (A784) Sk. 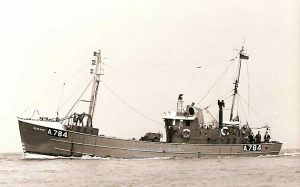 Monty Banks. 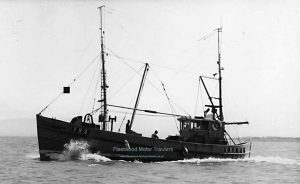 1975: Renamed OCEAN REWARD SY192, Owner Donald MacIver, Isle of Lewis. 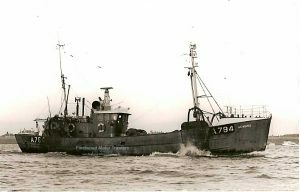 1979: Renamed REUL-ma-MAIDNE SY192. 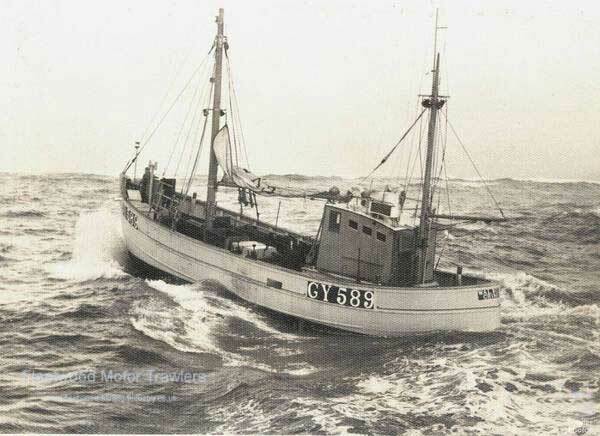 Later in this year her registration changed to CY224, Owner Donald B. Mcleod, Northbay, Isle of Barra & Other. 1995: Renamed MORNING STAR LH444, Owner Uknown. 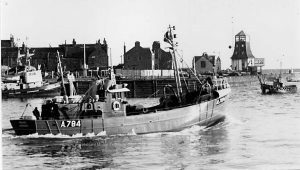 1996: Renamed DAVANLIN FR890, Owner Davlin Fishing Co. Ltd, Fraserburgh. 2008: Renamed LIBERTY BF34, Owner unknown. New wheelhouse, Three quarter length shelterdeck and a 500hp Kelvin. 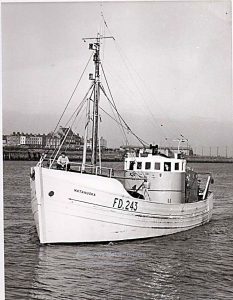 On her first trip out of Fleetwood she broke the port record for earnings by a pocket trawler in a single trip grossing £2,200. 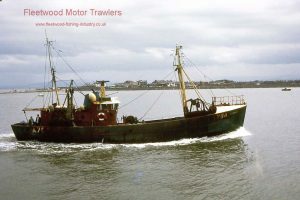 Undated: At Wyre Light, steering problems. 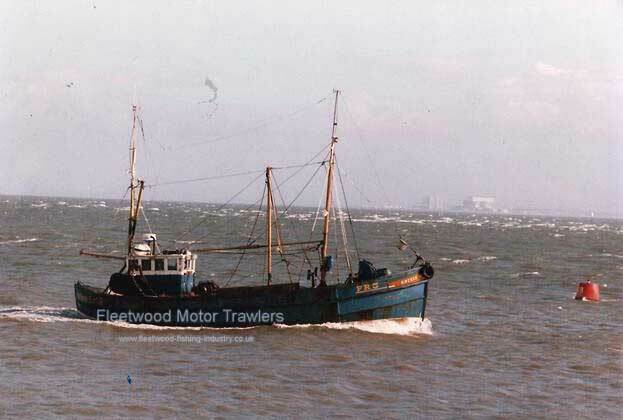 Forwards connected and towed into Fleetwood. 19/09/2017: Added an image and removed FMHT watermarks. 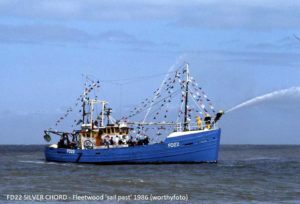 This entry was posted in Motor Trawler, No Fwd Owners on 24th November 2016 by Howard Small. 23/11/2016: Page re-published due to site problems. 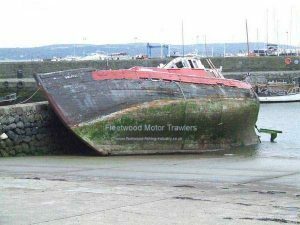 This entry was posted in Motor Trawler, No Fwd Owners on 23rd November 2016 by Howard Small. Based at Portavogie for several years then she was sold and ended up at Carrickfergis. 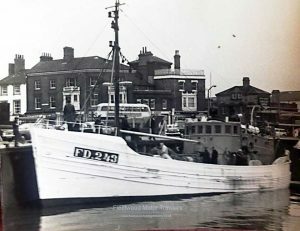 21/11/2016: Page re-published due to site problems. 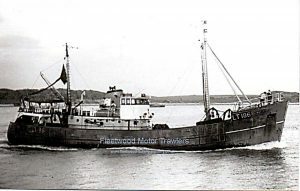 This entry was posted in Motor Trawler, No Fwd Owners on 21st November 2016 by Howard Small. 19/11/2016: Page re-published due to site problems. 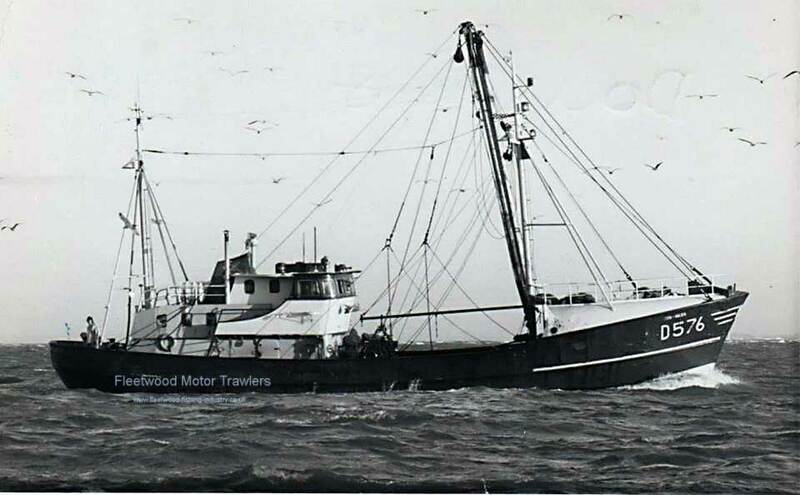 This entry was posted in Motor Trawler, No Fwd Owners on 19th November 2016 by Howard Small. 18/11/2016: Page re-published due to site problems. 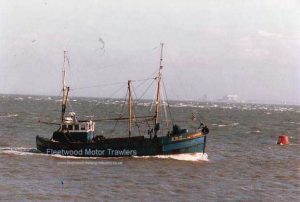 This entry was posted in Motor Trawler, No Fwd Owners on 18th November 2016 by Howard Small. 1950: Built at Sandhaven as DAUNTLESS. 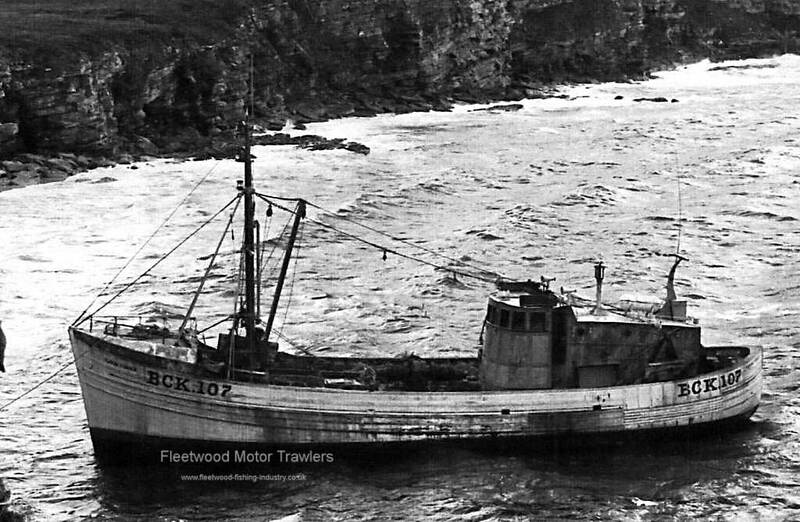 Registered at Lerwick (LK179 ). 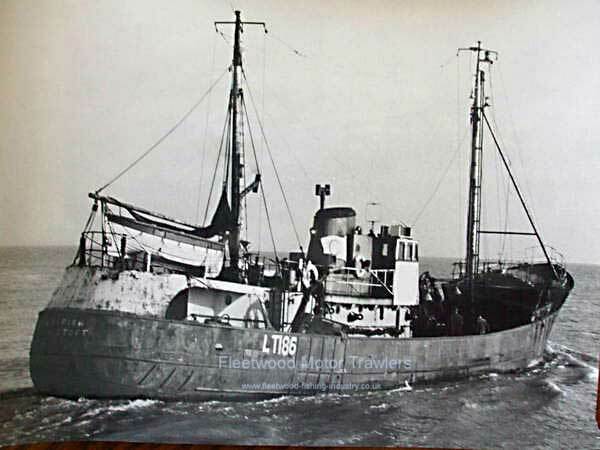 Post 1961 Pre 1964: Renamed SILVER CHORD LK179. 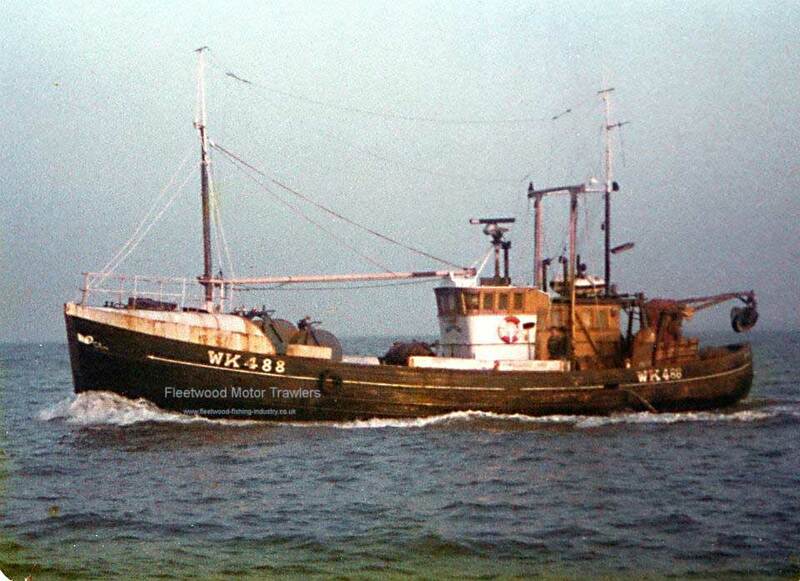 By 1982: Registered as SILVER CHORD WK488. 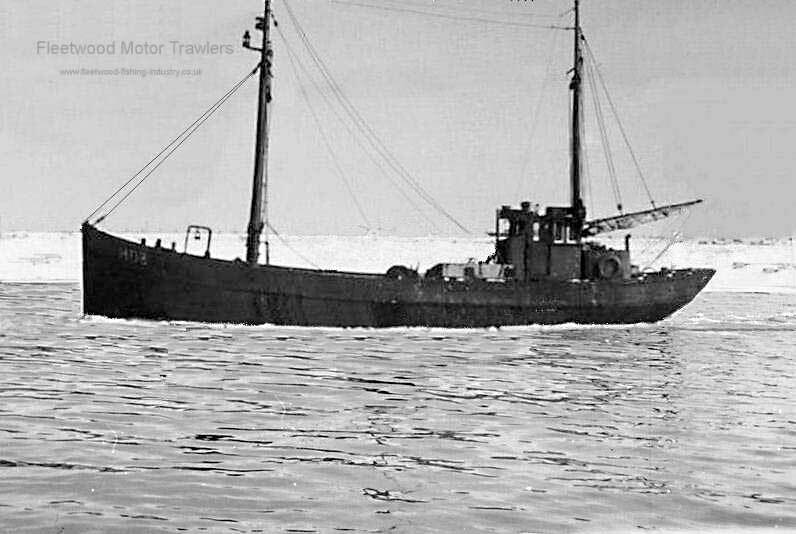 Engine: 120bhp by Bolinder Munktell Ltd, Eskilstuna Sweden. 1936: Launched by J & W. Berg, Halso Sweden (Yd. No) for Marstrand Fishing Co Ltd, Grimsby (Tom Moore manager) as FLORADORA. 20.05.1936: Registered at Grimsby (GY317). 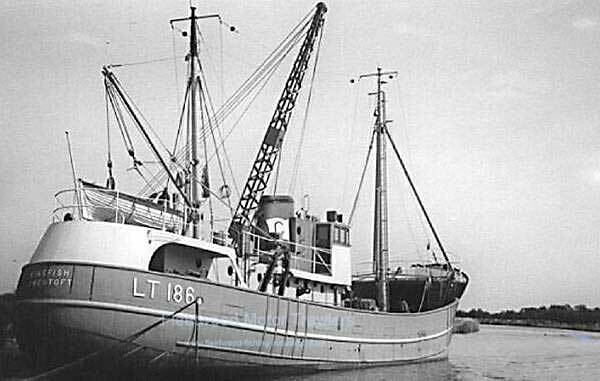 1936: Owned by Marstrand Fishing Co Ltd, Grimsby (Tom Moore manager). 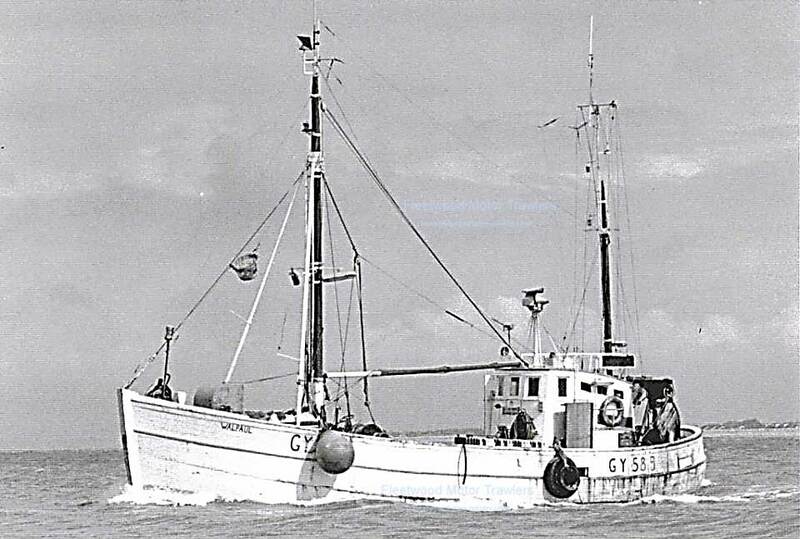 19.05.1936: Mortgaged by Marstrand Fishing Co Ltd, Grimsby (A). 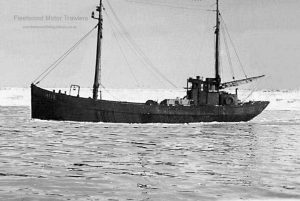 19.05.1936: Mortgagee: Bolinders Ltd, London (secure sum of £2542. 11s. 5d & interest @4.5%). 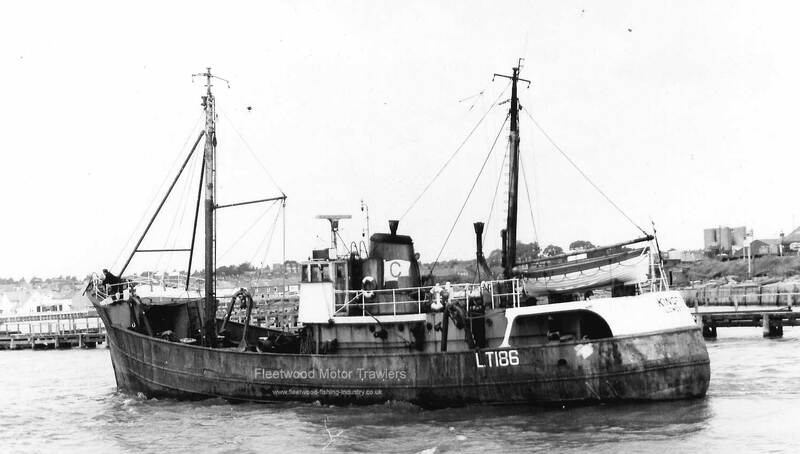 03.07.1936: Registered at Grimsby under Part 1 (57g). 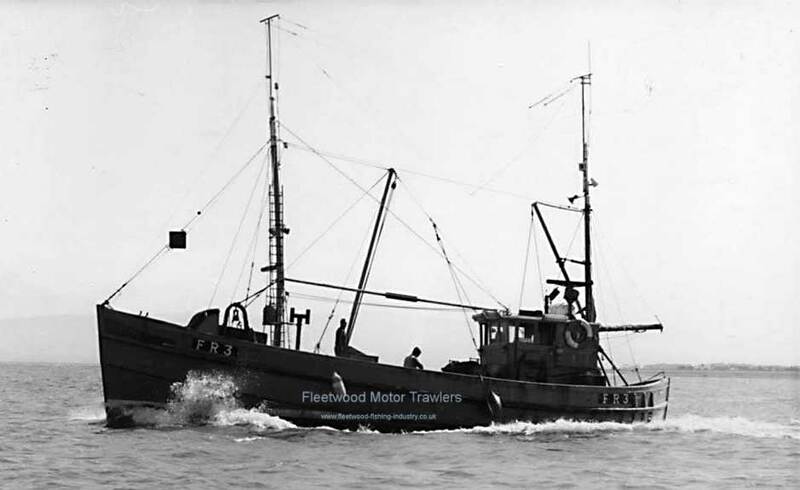 27.08.1938: Bill of Sale (under mortgage (A)): Owned by Walter Holmes, Fleetwood. 27.08.1938: Margaret Newton Holmes appointed manager. 03.03.1939: Stranded in Clanyard Bay, Rhinns of Galloway in early hours and resting badly on rocks. 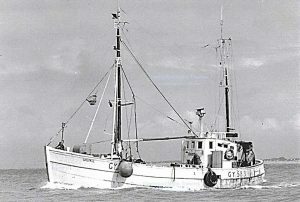 Sister ship, motor trawler BOMEMIAN GIRL (GY311) in attendance. 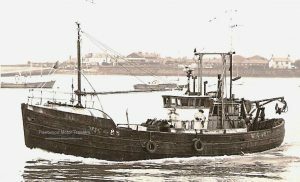 All crew taken off and onboard BOHEMIAN GIRL. At high water, 8.45 am. 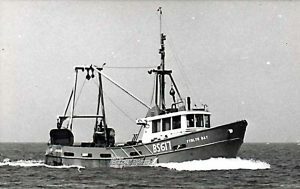 with BOHEMIAN GIRL connected, came afloat and after checks proceeding to Fleetwood. 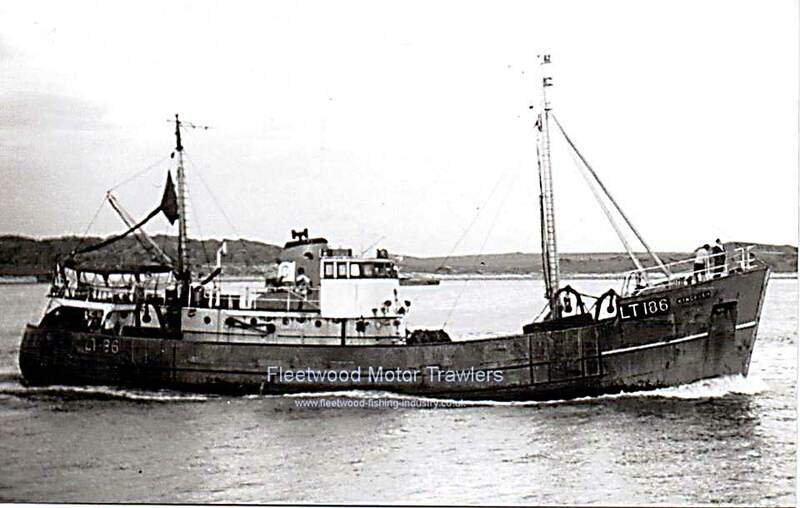 04.03.1939: Arrived Fleetwood shortly after midnight. 28.05.1940: Bill of Sale: Owned by Alexander Hay, Aberdeen (owner/manager). 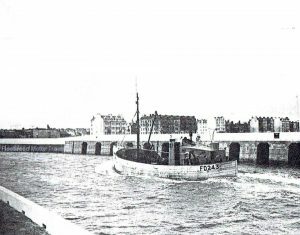 22.02.1943: Four Bills of Sale: Owned by Robert Bell; Elspeth Melville Boyd Bell; Mary Morris Bell & George Robert Cook, Leith Edinburgh. 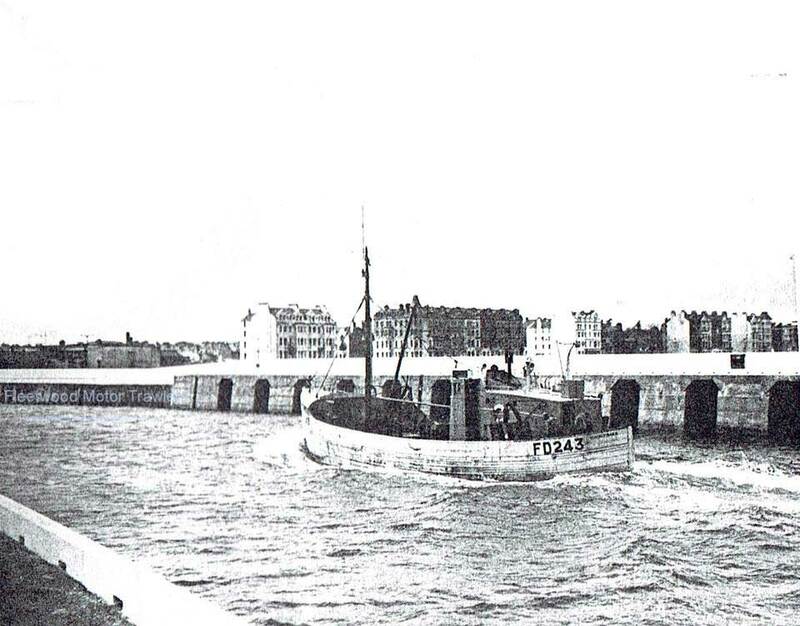 22.02.1943: Four mortgages; Mortgaged by Robert Bell (B) ; Elspeth Melville Boyd Bell (C); Mary Morris Bell (D) & George Robert Cook (E), Leith Edinburgh. 22.02.1943: Mortgagee: Royal Bank of Scotland, Edinburgh (secure amounts due & interest). 20.03.1943: Robert Bell appointed manager. 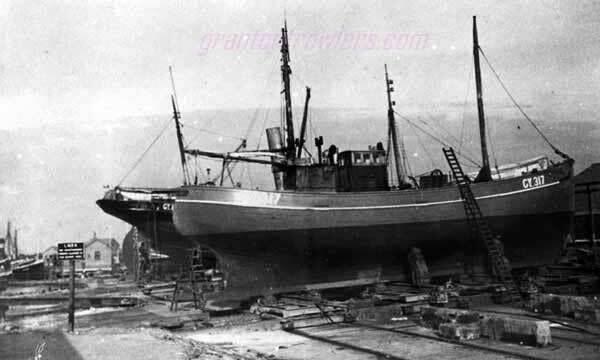 12.01.1945: Three Bills of Sale: Owned by Robert Bell; Elspeth Melville Boyd Bell; Mary Morris Bell, Leith Edinburgh. 25.01.1945: Three mortgages; Mortgaged by Robert Bell (F) ; Elspeth Melville Boyd Bell (G); Mary Morris Bell (H). 25.01.1945: Mortgagee: Royal Bank of Scotland, Edinburgh (secure amounts due & interest). 04.03.1951: Elspeth Melville Boyd Bell deceased; Mary Morris Boyd Bell appointed executor. 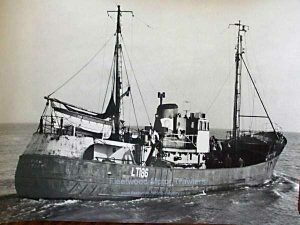 07.1955: Registered at Leith (LH54). 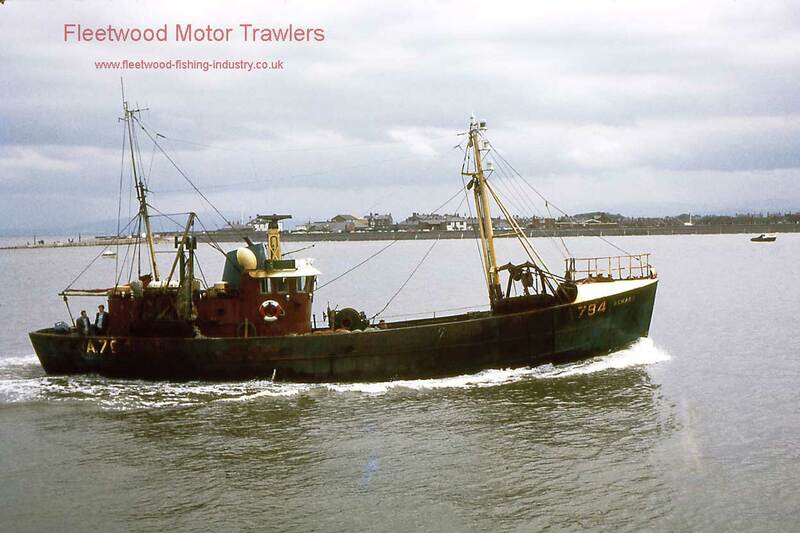 20.05.1956: Owned by Robert Bell & Mary Morris Bell, Leith Edinburgh. 31.12.1956: Not on Lloyd’s Register. 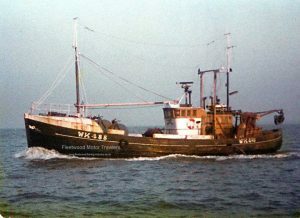 This entry was posted in Motor Trawler, No Fwd Owners on 17th November 2016 by Howard Small.